William Morrow Paperbacks, 9780061923036, 480pp. Who are your favorite characters in Dracula, My Love, and why? Who is your least favorite character? How is Count Dracula similar to or different from the Dracula portrayed in Bram Stoker's novel, and/or in any of the film versions you've seen? Compare and contrast the characters of Lucy and Mina in Dracula, My Love. How do the differences between them ultimately affect their fates? Discuss Mina's character arc. At the beginning of the story, what are her viewpoints regarding love, marriage, a woman's role in society, and the need to follow that society's rules? Is Mina an example of traditional Victorian mores? How does Mina grow and change over the course of the story? Early in the novel, Mina admits that she's always told Lucy everything, and that she and Jonathan made a solemn pact to be completely honest with each other. Yet Mina conceals her relationship with Mr. Wagner/Dracula from both Lucy and Jonathan. Why? How does the burden of carrying that secret affect her and influence the choices she makes? What are Jonathan's and Dracula's respective strengths and weaknesses? Why is Mina attracted to them both? Do you think she loves one more than the other, or just loves them in a different way? Do you empathize and connect with her feelings for Dracula? Who do you think is Mina's ideal mate? A long list of evils is attributed to Dracula, most which he refutes. How plausible are his explanations? Do you think he was telling the truth? After hearing Dracula's version of events, did you feel sympathy for him? When does Dracula begin to have feelings for Mina, and why? How does he go about pursuing her? Knowing that she is already engaged, what do you think he hopes and expects? How does their relationship build and grow over the course of the novel? How does the telepathic bond between Mina and Dracula enhance the story and move the plot forward? Discuss the scenes which explore the truth of Mina's parentage and personal history. How does her back story add to her character and to the novel as a whole? How does Mina and Jonathan's shared history influence their present and future? Discuss Dracula's origin story as revealed in the novel. How did his personal misfortunes shape the being he becomes? Do you admire him for the choices he's made? Why or why not? If you had an eternity before you, how would you spend it? Mina reminds Jonathan that her dreams often come true. Did this fact affect your expectations while reading the novel? How does Mina's dream imagery serve the story? When Mina dreams that Dracula makes love to her, do you think it was really just a dream? There are many unanswered questions in Bram Stoker's novel, such as Dracula's origin, his motivation for coming to Whitby and London, and the truth behind all that occurs at his castle. How does the author address these and other unanswered questions in Dracula, My Love? Did you find the answers believable and satisfying? Did reading Mina's story in the first person enhance the experience for you? What are the benefits of telling a story from the main character's perspective, rather than the third person? What are the limitations? Discuss the pros and cons of a vampire's existence as explained in the novel. Do you think Mina made the right choice at the end? Given her options, would you have made the same choice? Why or why not? What physical and psychological changes does Mina experience when she is certain she is becoming a vampire? Discuss the book's climax and resolution. Do you think the ending was appropriate? What caused Dracula to react and behave the way he did? At the final moment, do you think he did the right thing? Examine the final paragraph of the novel. 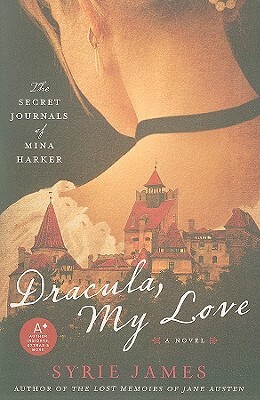 In what ways has Mina's relationship with Dracula changed her forever?